Lately I have been craving a good red, but I just haven’t got my heart set on a certain flavor. I want something light that will be a nice glass to sip. What I DON’T really want is the deeper wine that you accompany with food. Any suggestions (looking in the $10-$25 range)? 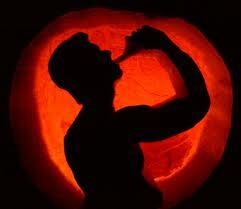 Until then, I am sticking with my fall beers and ciders. Alright, now on to YOUR submissions for the week! HOLY CRAP. 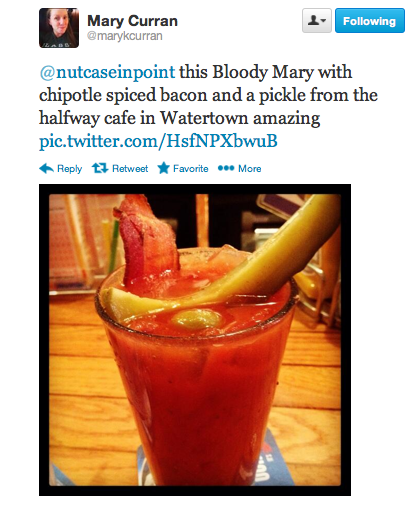 Mary tweeted a bloody mary that I could absolutely DIE for!!! There is nothing like a spicy bloody mary with lotsa fixins in it— especially when one of said ‘fixins’ is BACON. Mmm I totally agree. 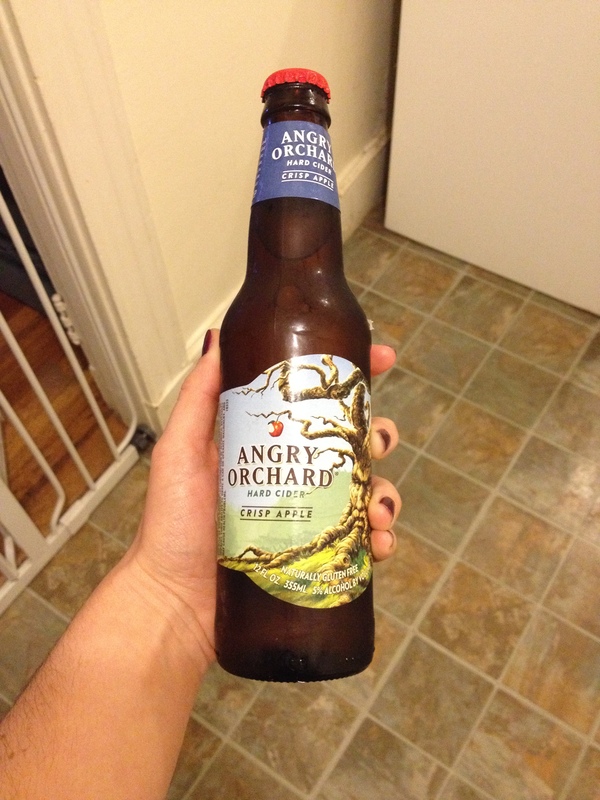 Looky here, Ashley just got to enjoy one on a nice crisp fall evening! I am so jealous. Last (for this week) is what Keith sent in. And boy does it leave me curious to taste something similar.. 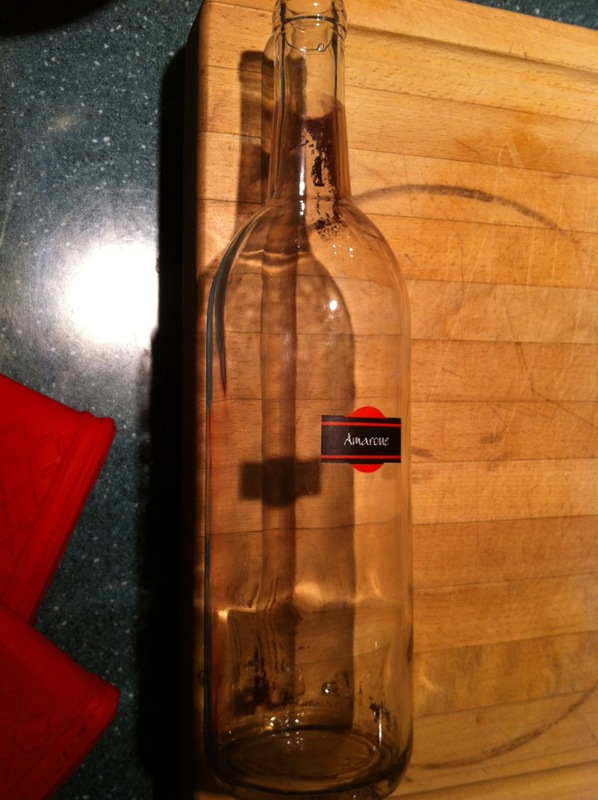 Here is the natural state of a wine bottle. Empty of course. This is an Italian Amarone made from a Mondial kit, and was bottled December 2008. Lots of juice and this one had raisins in it as well. This makes for a “heavier” wine, and even after letting things settle in the carboy, there is still usually a bit of a film and some sediment in the bottle. What this tells me is that I’m drinking a natural product, a real one. One that isn’t quality controlled to within a chemically laden inch of it’s life. I suppose commercial wines aren’t that bad, but I sure don’t drink many of them. I like a bit of imperfection in life. You can see a bit of the film around the bottom of the cork and the bottom of the bottle. This one will go into my bleach box to deal with some rainy or snowy day. Amarone is sometimes called “The little sweet one”. It took a while to mature, and it’s just lovely now. In a natural sort of way. Reminds me that we need to make another batch of wine ASAP. 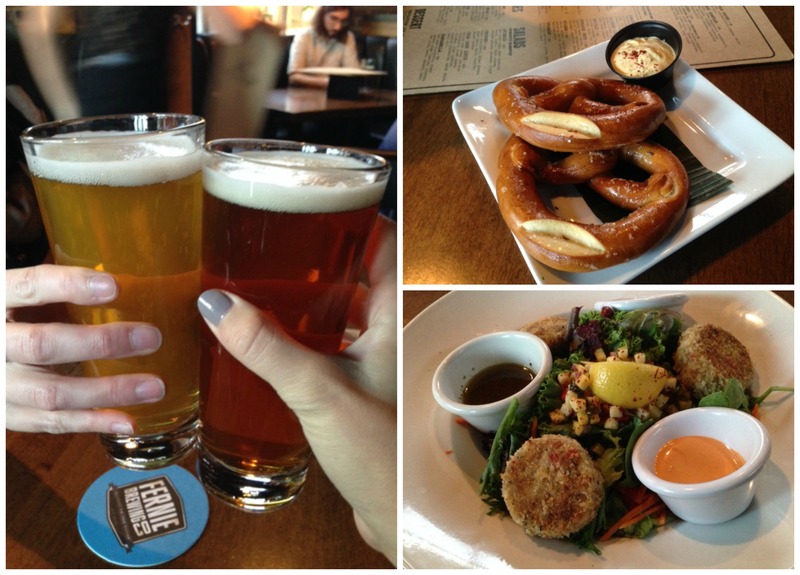 We then walked to Craft, where I could indulge in yet another of my favorite Pyramid Apricot Ale. And ended the night at National, another craft beer house. 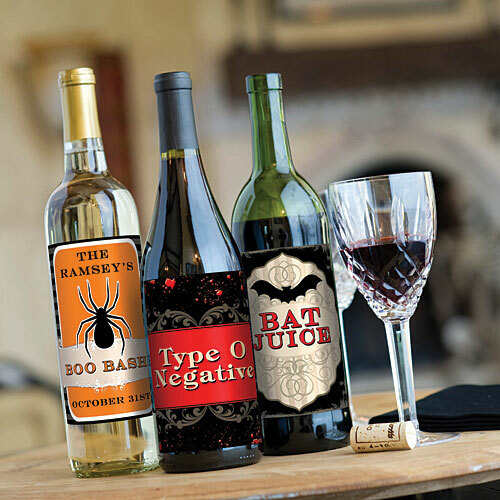 And if it weren’t illegal..or expensive..I’d give out these snazzy halloween wines to trick or treaters. Hope you all have a fantastic Winesday Wednesday! And don’t forget to send me anything you want to include in next week’s post! I love this!!! 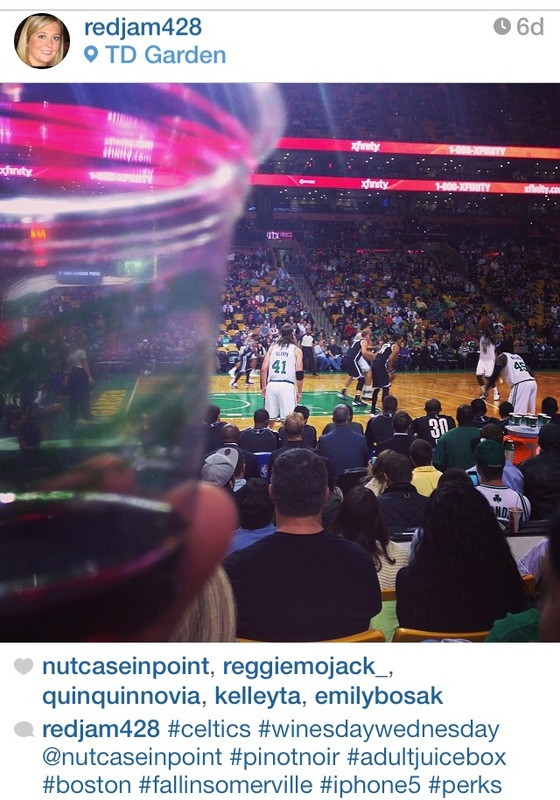 I can’t wait to start tagging you in all my booze photos on IG. 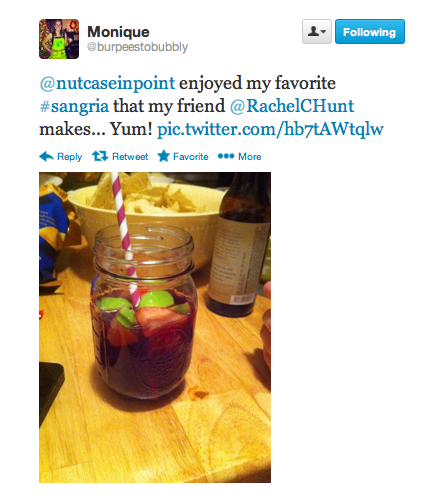 this was a fun Winesday Wednesday post! Lots of fun entries. As far as red wines that aren’t heavy for food… hmmm I love J Lohr (duh), but that can be a bit heavier. 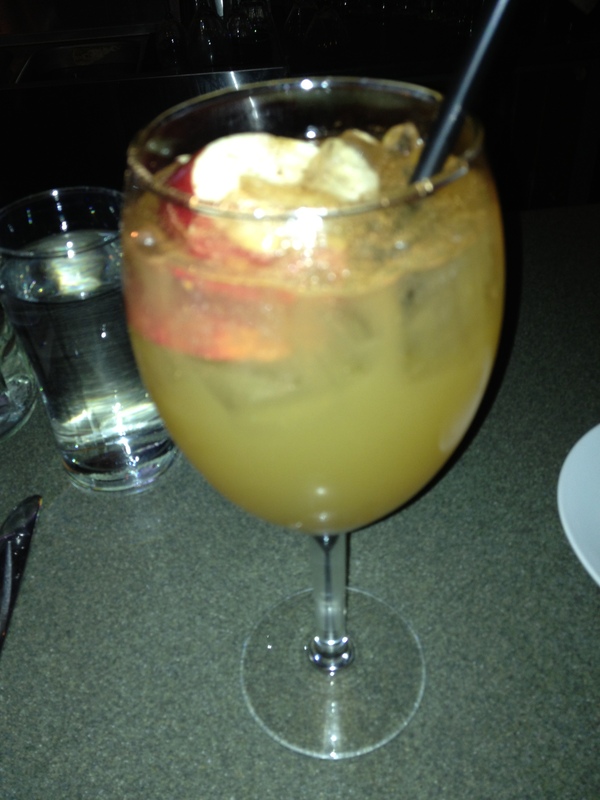 I had a Coppola (not sure how to spell it) which was also delicious. 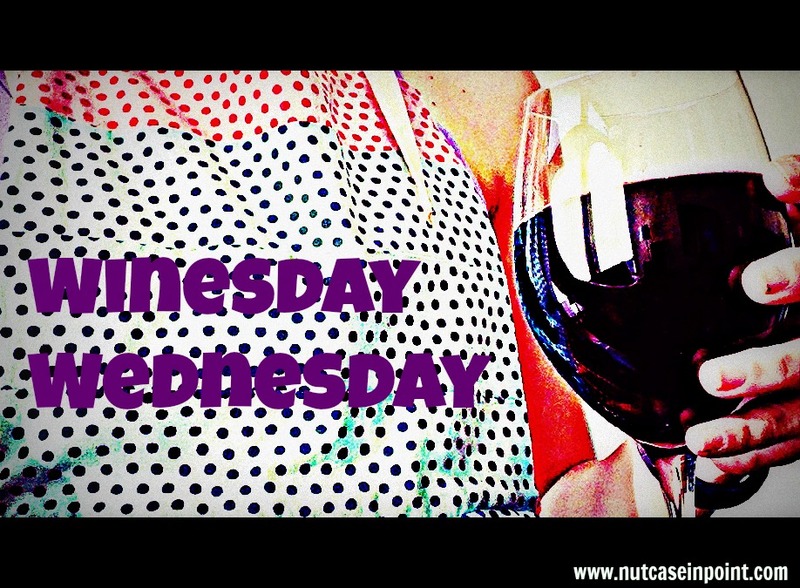 this was a super fun Winesday Wednesday post! Lots of fun entries. I always like J Lohr wines, but they can be heavy. I had a Coppola (sp??) last weekend that was also delicious. Mark West Pinot Noir is almost too easy to sip it’s so light. Hope you find something! THis weather makes me want to sit around and sip red wine, too! I’m pretty bummed that I won’t be able to have any Angry Orchard when I’m in Phoenix next month 😦 It just won’t be the same without some booze. I’m not a huge red wine drinker but I’m actually sipping some now that I kind of like – Roscato (like Moscato but red!! ).